UK adspend will fall 0.7% in 2017 before growing the same amount in 2018, according to the latest IPA Bellwether Report. The figures are among those suggesting marketers believe the economy will suffer short-term pain as the Brexit process picks up steam, but remain upbeat in spite of this. 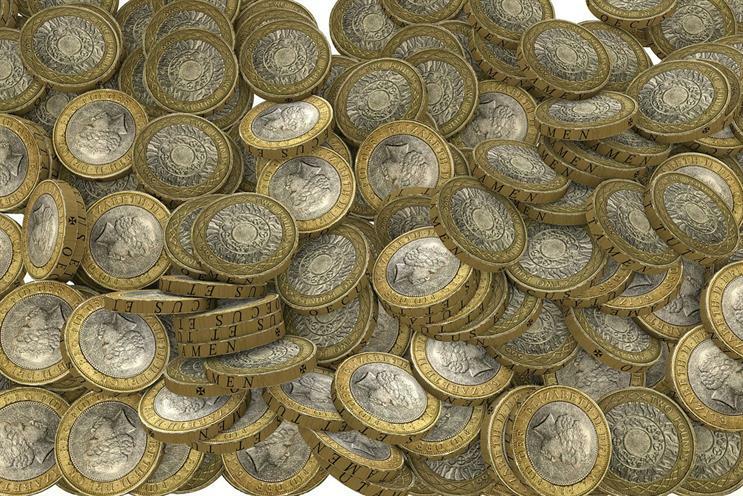 The survey of 300 UK marketing leaders found that most revised their marketing budgets upwards in the last quarter of 2016, with a net balance of 12.9% reporting an increase – just below the previous quarter’s figure of 13.4%, which was a two-year high. Marketers also overwhelmingly said their own budgets for 2017/18 were growing, with a net balance of 27.6% – despite the Bellwether forecast of an overall fall in adspend. They also expressed growing confidence in the prospects of their own company, with the net balance increasing to 11.2%, from last quarter’s 10.6%. But when asked about the prospects of their industry, respondents were far less confident – the net balance figure of -14.6% was a sharp fall on last quarter’s -12.1%, and the lowest level in four years. It marked the fourth successive quarter in which this measure was negative. The report’s adspend forecast is improving. Bellwether increased its growth figures for both 2016 – from 1.9% to 2.1% growth – and 2018, from 0.2% to 0.7%, though the decline forecast for this year stays the same. Paul Bainsfair, director general of the IPA, said: "After a year of well-publicised doom and gloom, Bellwether provides some welcome positive news. "With marketers revising their budgets up yet again, the industry ends the year on a high. 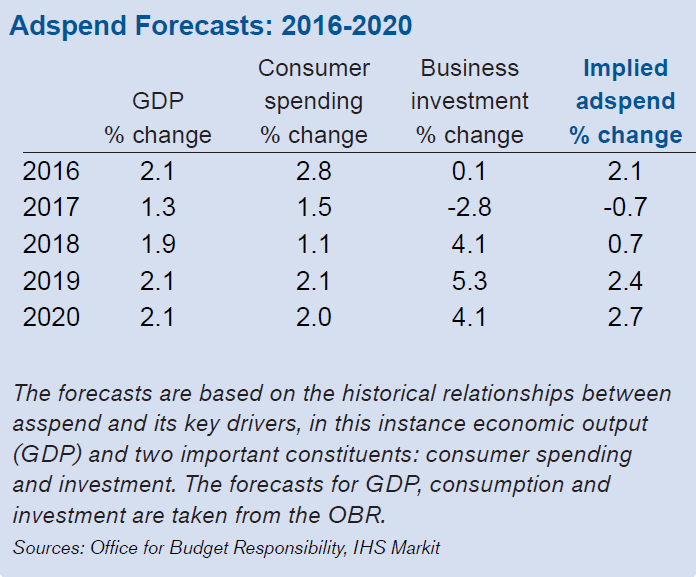 Furthermore, it is reassuring that despite the slight fall in adspend predicted by Bellwether in 2017 due to Brexit negotiations, growth is forecast for both 2016 and 2018." The channels most likely to have seen budgets growing the last quarter were events and internet. 22% of respondents said their events marketing had increased, compared to 10% that saw a decrease, while for internet 23% noted a rise and 12% a fall. 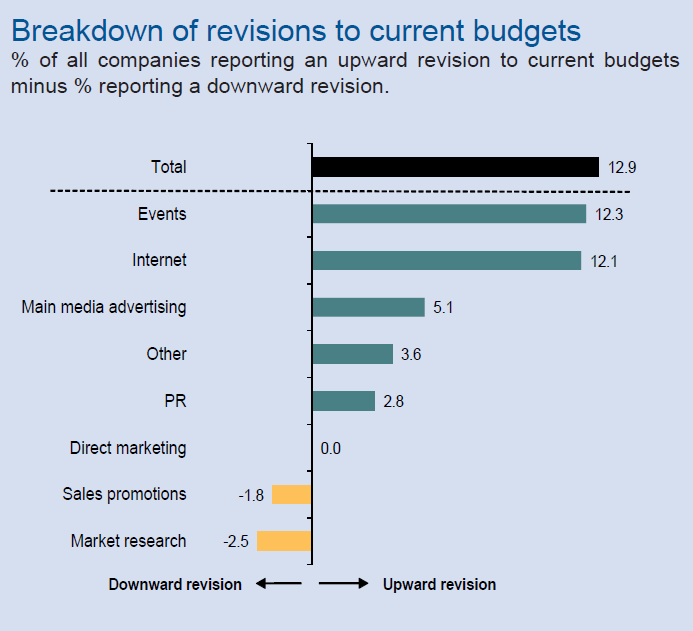 Main media advertising held up, with 17% recording growth and 12% reporting a decline. This category includes online, however, suggesting that other media – TV, radio, cinema, outdoor and press – saw budgets fall on the whole. Paul Smith, senior economist at IHS Markit and author of the Bellwether Report, said the study painted a picture of "a currently humming UK economy" that contrasted with "the uncertain Brexit-dominated prospects to be faced in the coming months." He added: "With company sales growth being underpinned by firm UK household spending, marketing budgets continued to be driven higher in the fourth quarter of 2016 and a number of companies are seeking to maintain growth with some taking advantage of the weak pound to promote their goods and services to a foreign audience.